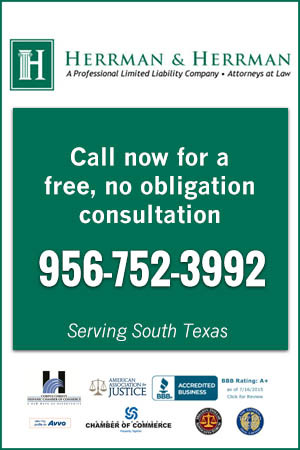 Harlingen-Weslaco-Brownsville-McAllen, TX - Accident News and Resources including car, bicycle, motorcycle and truck accidents and much more. Harlingen is a city about 30 miles from the Gulf of Mexico and a principal city in the Cameron County metropolitan area. It was built on the intersection of Route 77 and Route 83 as a distribution, shipping, and industrial center. It is also considered the most "economical" place in the U.S. to live because it has the lowest cost of living of anywhere in the country. Weslaco is a city in Hidalgo County, Texas. The population was 35,670 at the 2010 United States Census. Weslaco derives its name from the W.E. Stewart Land Company. Brownsville is the sixteenth most populous city in Texas with a population of 181,860. It is located on the southernmost tip of the state on the northern bank of the Rio Grande, directly north and across the border from Matamoros, Tamaulipas, Mexico. The 2013 U.S. Census Bureau estimate places the Brownsville-Harlingen metropolitan area population at 417,276. McAllen is the largest city in Hidalgo County, Texas. It is located at the southern tip of Texas in the Rio Grande Valley. It is on the Rio Grande, and is about 70 miles west of the Gulf of Mexico. In 2012 the city's population was 140,717. U.S. Route 77 is a major north-south highway that suns from Sioux City, Iowa to the Mexican border and connects Harligen to Corpus Christi and other northern cities. U.S. Route 83 is a 1,885 mile road that stretches from the Canadian border to the Mexican border. It's southernmost point is in Brownsville. When someone is injured in an accident in Harlingen, Weslaco, Brownsville, or McAllen, it is important to gather information about what happens next. 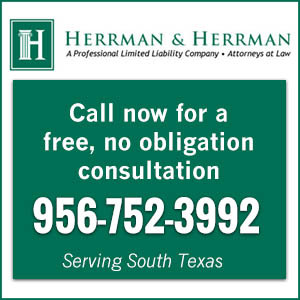 When someone has been injured or killed in a motor-vehicle collision in Harlingen, Weslaco, Brownsville, or McAllen, the accident victim and their family members are left with medical bills, lost income, and other costs. It is important to get legal assistance to help the accident victim recover, or when the accident is fatal, to help the family members begin to recover from their losses. Learn more about how a Harlingen, Weslaco, Brownsville, and McAllen personal injury attorney will help injured victims and families. The Insurance Company Wants to Pay. Why Do I Need a Lawyer? Do I Have to Pay Taxes on My Settlement? Remember when a driver in Texas admitted that his texting caused an accident that killed 13 people? That wasn't illegal. This is really hard to watch. First things first: apparently everyone survived, and the baby and toddler are currently stabilized and recovering in the hospital, but that will not be super helpful to your stress level while/immediately after viewing. If you are currently the mother of young children, have a drink ready or your chosen method of self-care for when the video is done, because you will need it. The Lower Rio Grande Development Council has looked at McAllen and even Austin’s dockless system to implement a plan that would not cost the taxpayers a dime. Millennials tend to believe they are right and thus they always try to get the rights they deserve. Plus, they are more focused on winning and proving that they are right, something that comes along with their drive to succeed and their younger age. Officials state that nothing will really change as far as beach activities go just that all will now be done in designated areas only. The police advise people to patronize newer gas pumps because they are installed with devices that prompt the gas pumps to shut down when tampered with. Better yet, residents are encouraged to pay with hard cash if possible. McAllen voters opted in favor of $22 million toward drainage upgrades and $3 million for traffic improvements on Saturday as the city’s two-proposition bond election passed by a comfortable margin. Do you have a good idea for a new business in McAllen? This monthly program created by the McAllen Chamber of Commerce provides an excellent outlet for testing your business idea. Texas state law mandates that all drivers have insurance policies of at least $30,000 to cover bodily injuries caused to other parties. This is just the minimum, though. First and foremost, the best advice that I can give would be to have insurance coverage that covers damage to your vehicle and provides for a rental car.